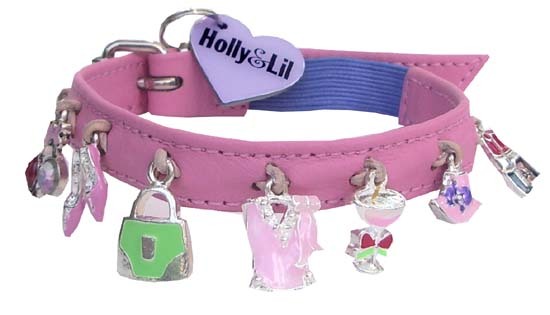 "Girls Just wanna have fun..." - Holly & Lil Collars Handmade in Britain, Leather dog collars, leads & Dog harnesses. Home / Cat Collars / "Girls Just wanna have fun..."
"Girls Just wanna have fun..."
The charms are handstitched by us onto one of our fabulous handmade calf leather collars. The collar shown here is Sugar Pink Calf with a lilac elastic safety strip..